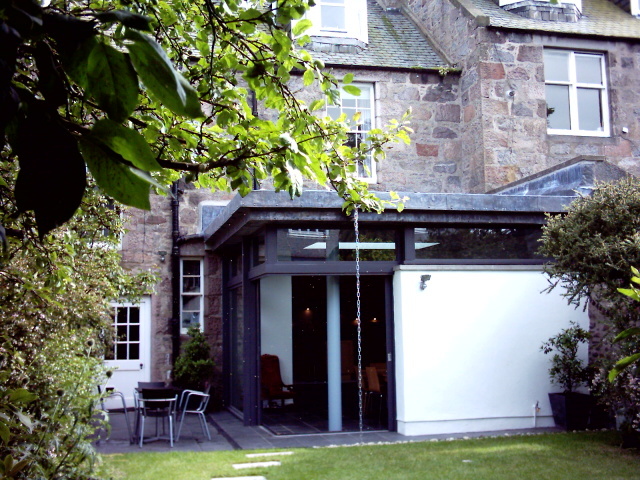 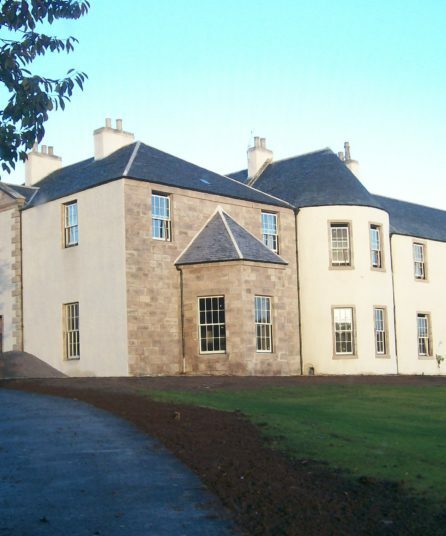 Contemporary extension to a listed building in Aberdeen. 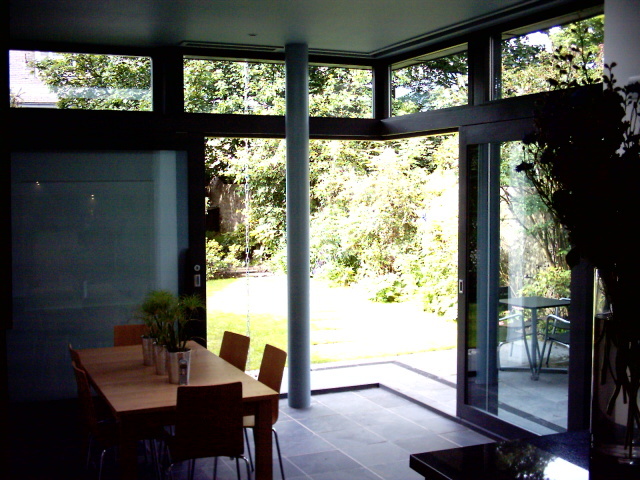 Client wanted a light open extension to connect with the garden and complement the more traditional spaces of the main house. 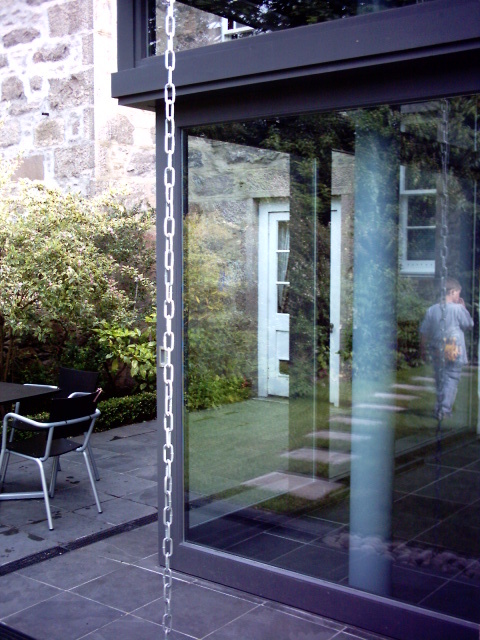 I designed a building with no external structural corner to enable the large glass doors to slide open both ways to open the inside to the garden fully. 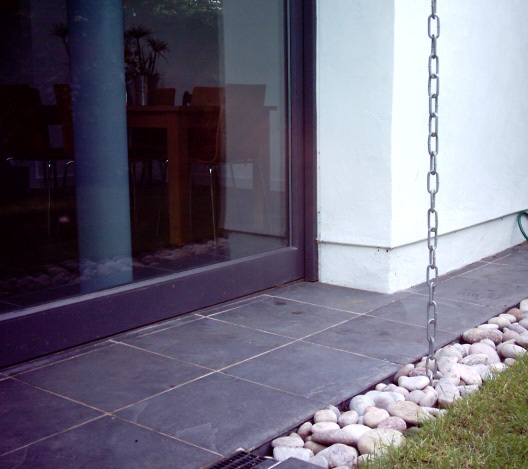 The link was further enhanced with use of inside-outside materials such as slated floor and patio to give a continuous view and feel . 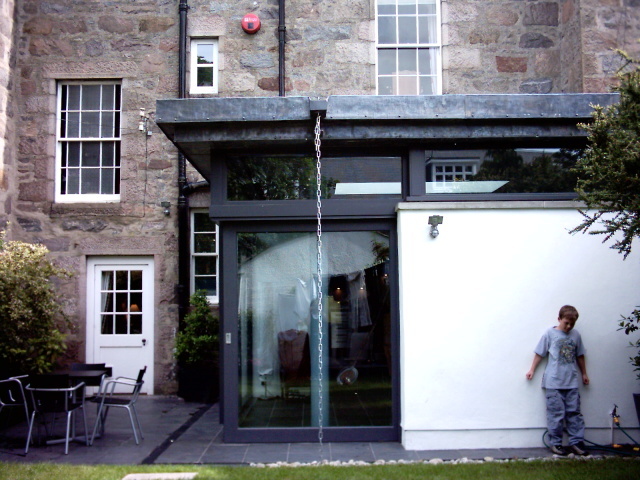 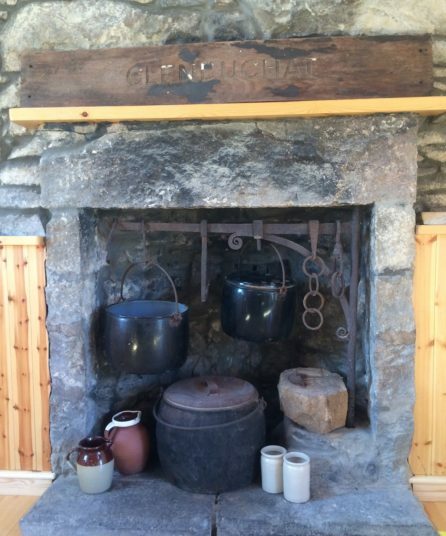 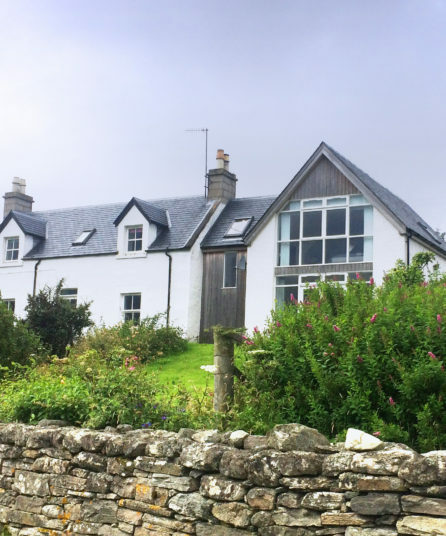 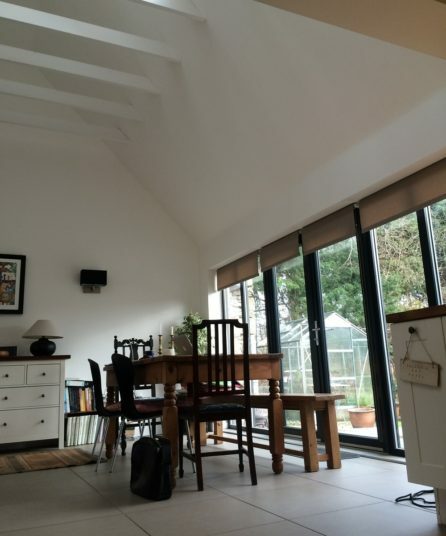 A quality modern response to a quality traditional building.